No Contracts - no membership fees! Weight gain is a medical problem; therefore, it needs medical treatment. Let us help you lose weight with a doctor supervised program and total team management. CONTRAVE® (naltrexone HCI/bupropion HCI) is a prescription-only, FDA-approved weight-loss medication that may help adults who are overweight or struggle with obesity lose weight and keep it off. Call Access Medical Weight Loss Clinic today for a free consultation. Learn more about CONTRAVE® by clicking here. On this reduced calorie program you will focus on portion control with a personalized meal plan and nutrition counseling. The initial visit cost includes a comprehensive care provider visit, personalized meal planning session and two weeks of appetite suppressants as well as laboratory work. Our Lipotropic medications may be added to this program. This high protein, low carbohydrate diet plan allows you to eat your own food from home. Weekly counseling with a Nutritionist help you stay motivated until you reach your goal. The initial visit cost includes two weeks of appetite suppressants, a vitamin and mineral pack, two lipotropic injections and two weekly counseling sessions with a Nutritionist. Approximate weight loss of 12-16 pounds per month. *Includes 5 portion controlled meals and 2 weeks of appetite suppressants. A portion controlled meal plan that eliminates meal planning and preparation. This high protein, low carb meal plan includes 5 meals per day provided by Access Medical and is nutritionally designed to meet your nutrient needs. Appetite suppressants are also included. Our injections may be added at an additional cost. This Mediterranean diet based program helps program participants learn how to control their hunger through diet and lifestyle changes. Weekly counseling sessions with a Nutritionist helps you to stay motivated, focused and successful. Meal replacements are optional but do help to increase weight loss. Our Full Fast Program helps participants lose weight through the use of Optifast meal replacement shakes. Full Fast is a full or partial-liquid formula which blends counting calories and learning portion control. The weekly visit cost is $95 and consists of laboratory work and a visit with a Care Provider. An EKG may be conducted at the initial visit and every 30-40 pounds thereafter. Cost of meal replacement shakes are additional. Approximate weight loss of 12-16 pounds per month. 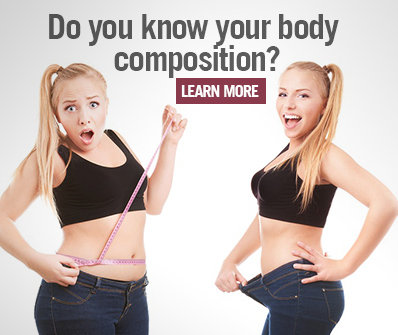 Causes fat cells to release their stored fat to be burned as energy resulting in inch loss. Therapeutic benefits for some patients with acute and chronic bursitis, tenosynovitis and intractable pruritus. Helps promote a healthy nervous system and promotes energy production. Used as a jump start and detoxifier of liver and fat cells. Lipoplex improves the utilization of fat and cholesterol in the body by speeding the removal of fat in the liver. Are you a candidate? Knowing your BMI can help you find out. It's just as important a number to know as your blood pressure and cholesterol. Use our calculator to see if your body mass index makes you a candidate for one of our programs.